Calling all Canadian Nail Techs! In the last couple of years, I have noticed a few things that are changing in the professional nail business. Firstly (and I am so happy to see this) is that nail technicians are no longer hiding their techniques and procedures. Everything from product placement and brush angles to nail art designs. I LOVE that we are lifting each other up!!!! The second is that I see the emergence of smaller, nails only shows. There are many to talk about but today I want to let you know about one that is available for nail tech’s in my home land. Good ole Canada! 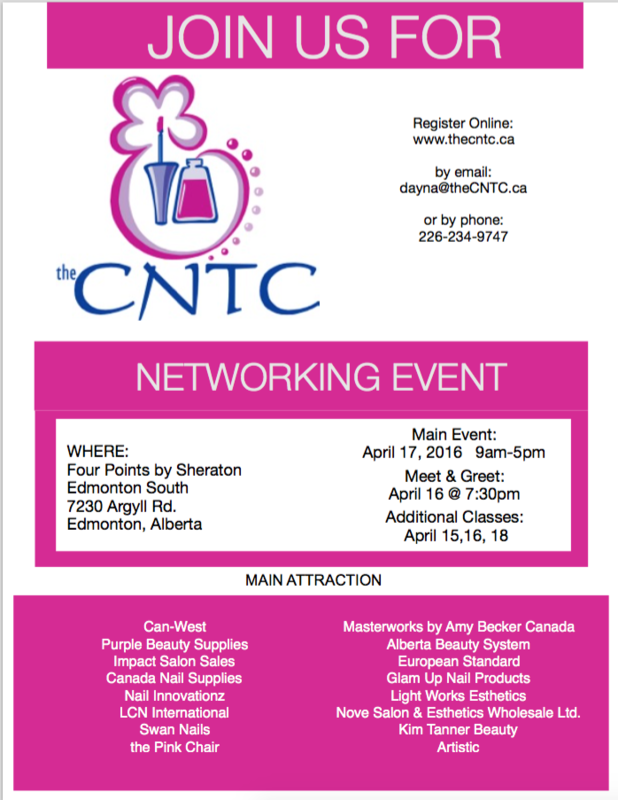 This spring, The Canadian Nail Tech Connection will be held in Edmonton, Alberta, Canada on April 17th, 2016. A meet and greet on April 16th (I love those things!) with additional classes available prior to the main event and following the main event. 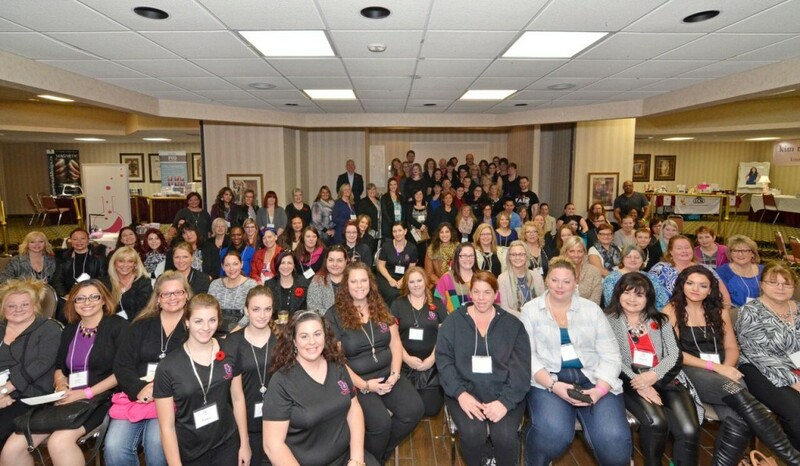 So great to see Canadian as well as US based manufacturers coming together to share knowledge and help educate nail techs in a smaller venue. I know for me, sometimes large shows can be over whelming. These type of venues, with more opportunities to talk one on one to manufacturers and educators can give you a much better feel for who and what these companies are. And if they will be the perfect match for your style of doing nails and business. pic from The Canadian Nail Tech Connection Facebook page! The classes being held prior to and after the main event are both free and with admission costs. Here is a quote from Stephanie that attended the show previously! Sounds like a wonderful venue right? Not to mention the organizer, Dana Knight, makes sure there are tons of prizes to be had as well!